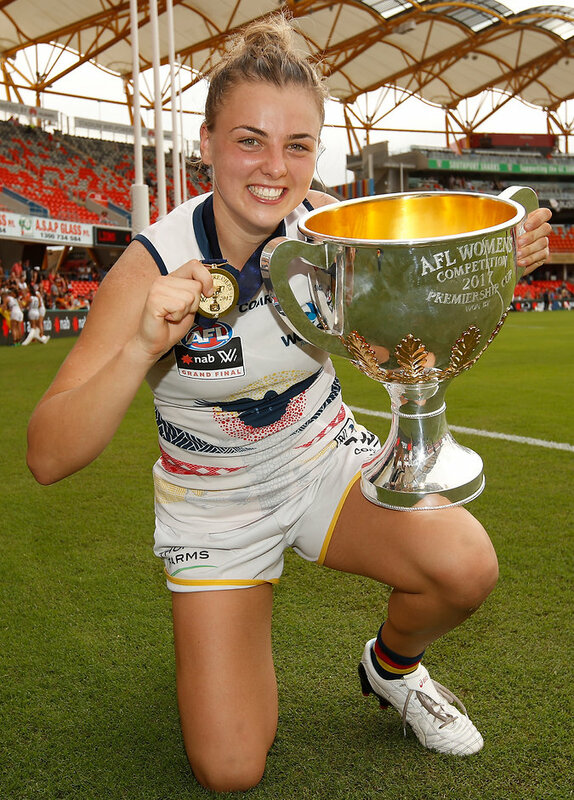 Marinoff and her Crow teammates played in the first AFLW premiership against the Brisbane Lions in a historic occasion for women’s football. The day was made more memorable for Marinoff and teammates as they became the first ever AFLW premiers. “It was just an incredible feeling to have experienced,” Marinoff said. Marinoff’s 2017 season was topped off with her winning the first AFLW rising star award. “I was absolutely shocked when it happened, but really honored,” Marinoff said. It’s hard to believe at only 18 years old, Marinoff accomplished many accolades. These accolades include the AFLW rising star award, AFLW premiership player, AFLW All Australian Team and VFLW premiership player with Darebin in the inaugural AFLW season. In addition, Marinoff has played for the Darebin Falcons and Northern Territory Thunder in the VFLW the past two seasons and this has helped to develop her footy. Marinoff enjoys playing the position of midfielder. “Having the ability to set the tone of the game straight away from first bounce,” Marinoff said. Playing alongside an athlete in Erin Phillips has been a thrill for Marinoff. The people who have influenced Marinoff’s football and sporting career the most are her parents, Narelle Smith and Courtney Cramey. “My parents have supported me through everything and blessed me with every opportunity to be successful,” Marinoff said. At the age of 5 was when Marinoff began playing football. “I started in Auskick and then moved on to grasshoppers,” Marinoff said. When Marinoff is not playing football you can find her working casually at the Adelaide Football Club in the community team. Her role in the community team is she helps to promote the game to young females through school programs and Crows Cup carnivals. In AFLW 3.0 Marinoff will be playing alongside new Irish teammate Ailish Considine. “Swish has exceeded all expectation in her first pre-season, bringing awesome speed to the team and she has the ability to kick both right and left really well,” Marinoff said. 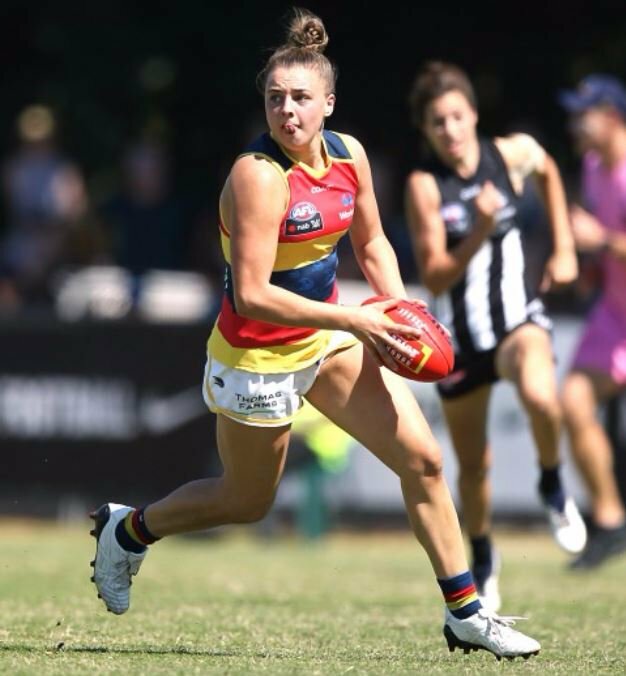 Marinoff is really looking forward to her third season at the Adelaide Crows and to play under new head coach Matthew Clarke.